Due to the limitation of the electrical OFDM signal and electrical Fast Fourier Transform (FFT), all-optical OFDMs have recently received much attention. Accordingly, this research study was conducted to investigate the effect of phase noise in the performance of an all-optical OFDM transmission system with 4-point FFT single mode fiber (SMF) links by considering the effects of fiber length, input laser power and a number of channels. In all optical systems, the transmitter side consists of a comb power generator, wavelength selected switch and an optical QAM generator. A comb power generator generates channels with a frequency separation of ∆f=25 GHz. Subsequently, a Wavelength Selected Switch (WSS) was used to split subcarriers and then the subcarriers were modulated individually with Optical QAM modulators. As the results show, a higher number of channels led more phase noise in terms of XPM and FWM nonlinearities, and signal power was the main factor in nonlinear fiber optics. As a consequence, there is more phase noise distortion at a higher signal power for a higher number of channels rather than the lower number of channels. B. J. Schmidt, A. J. Lowery & J. Armstrong, (2008) “Experimental demonstrations of electronic dispersion compensation for long-haul transmission using direct-detection optical OFDM,” Journal of Lightwave Technology, 26(1), 196-203. Y. Benlachtar, G. Gavioli, V. Mikhailov & R. I. Killey, (2008) “Experimental investigation of SPM in long-haul direct-detection OFDM systems,” Optics express, 16(20), 15477-15482. J. Armstrong, (2009) “OFDM for optical communications,” Journal of lightwave technology, 27(3), 189-204. Y. Wu & W. Y. Zou, (1995) “Orthogonal frequency division multiplexing: a multi-carrier modulation scheme,” Consumer Electronics, IEEE Transactions on, 41(3), 392-399. T. Jiang & Y. Wu, (2008) “An overview: peak-to-average power ratio reduction techniques for OFDM signals,” IEEE Transactions on broadcasting, 54(2), 257. SE Alavi, IS Amiri, H Ahmad, ASM Supa’at & N Fisal, (2014) “Generation and Transmission of 3× 3 W-Band MIMO-OFDM-RoF Signals Using Micro-Ring Resonators,” Applied Optics, 53(34), 8049-8054. S. Amiri, A. Nikoukar & J. Ali, (2013) “GHz Frequency Band Soliton Generation Using Integrated Ring Resonator for WiMAX Optical Communication,” Optical and Quantum Electronics, 46(9), 1165-1177. C. K. Ho, Z. Lei, S. Sun & W. Yan, (2005) “Iterative detection for pretransformed OFDM by subcarrier reconstruction,” Signal Processing, IEEE Transactions on, 53(8), 2842-2854. Abdolkarim Afroozeh, Iraj Sadegh Amiri, Alireza Zeinalinezhad & Harith Ahmad, Characterization and Controlling of Soliton Signals Generated by Semiconductor Microring Resonators. USA: Springer, 2015. S. Amiri, S. E. Alavi, Sevia M. Idrus, A. Nikoukar & J. Ali, (2013) “IEEE 802.15.3c WPAN Standard Using Millimeter Optical Soliton Pulse Generated By a Panda Ring Resonator,” IEEE Photonics Journal, 5(5), 7901912. Iraj Sadegh Amiri & Abdolkarim Afroozeh, Ring Resonator Systems to Perform the Optical Communication Enhancement Using Soliton. USA: Springer, 2014. Y. Zhang, M. O’Sullivan & R. Hui, (2010) “Theoretical and experimental investigation of compatible SSB modulation for single channel long-distance optical OFDM transmission,” Optics express, 18(16), 16751-16764. Y. Benlachtar, P. M. Watts, R. Bouziane, P. Milder, D. Rangaraj, A. Cartolano, R. Koutsoyannis, J. C. Hoe, M. Püschel & M. Glick, (2009) “Generation of optical OFDM signals using 21.4 GS/s real time digital signal processing,” Optics Express, 17(20), 17658-17668. B. J. Dixon, R. D. Pollard & S. Iezekiel, (2001) “Orthogonal frequency-division multiplexing in wireless communication systems with multimode fiber feeds,” Microwave Theory and Techniques, IEEE Transactions on, 49(8), 1404-1409. Kim, Y. H. Joo & Y. Kim, (2004) “60 GHz wireless communication systems with radio-over-fiber links for indoor wireless LANs,” Consumer Electronics, IEEE Transactions on, 50(2), 517-520. Y. Ma, Q. Yang, Y. Tang, S. Chen & W. Shieh, (2009) “1-Tb/s single-channel coherent optical OFDM transmission over 600-km SSMF fiber with subwavelength bandwidth access,” Optics express, 17(11), 9421-9427. Iraj Sadegh Amiri & Harith Ahmad, Optical Soliton Communication Using Ultra-Short Pulses. USA: Springer, 2014. I. S. Amiri, M. R. K. Soltanian & H. Ahmad, Application of Microring Resonators (MRRs) in Soliton Communications, in Optical Communication Systems: Fundamentals, Techniques and Applications, ed New York: Novascience Publisher, 2015. Sadegh Amiri, M. Nikmaram, A. Shahidinejad & J. Ali, (2013) “Generation of potential wells used for quantum codes transmission via a TDMA network communication system,” Security and Communication Networks, 6(11), 1301-1309. D. Hillerkuss, R. Schmogrow, T. Schellinger, M. Jordan, M. Winter, G. Huber, T. Vallaitis, R. Bonk, P. Kleinow & F. Frey, (2011) “26 Tbit s-1 line-rate super-channel transmission utilizing all-optical fast Fourier transform processing,” Nature Photonics, 5(6), 364-371. K. Takano, T. Murakami, Y. Sawaguchi & K. Nakagawa, (2011) “Influence of self-phase modulation effect on waveform degradation and spectral broadening in optical BPSK-SSB fiber transmission,” Optics express, 19(10), 9699-9707. S. Amiri, S. E. Alavi & J. Ali, (2013) “High Capacity Soliton Transmission for Indoor and Outdoor Communications Using Integrated Ring Resonators,” International Journal of Communication Systems, 28(1), 147–160. M. Nazarathy, J. Khurgin, R. Weidenfeld, Y. Meiman, P. Cho, R. Noe, I. Shpantzer & V. Karagodsky, (2008) “Phased-array cancellation of nonlinear FWM in coherent OFDM dispersive multi-span links,” Optics express, 16(20), 15777-15810. Q. Yang, S. Chen, Y. Ma & W. Shieh, (2009) “Real-time reception of multi-gigabit coherent optical OFDM signals,” Optics express, 17(10), 7985-7992. B. Djordjevic & B. Vasic, (2006) “Orthogonal frequency division multiplexing for high-speed optical transmission,” Optics Express, 14(9), 3767-3775. K. Lee, C. T. Thai & J. K. K. Rhee, (2008) “All optical discrete Fourier transform processor for 100 Gbps OFDM transmission,” Optics express, 16(6), 4023-4028. J. Lowery, (2010) “Design of arrayed-waveguide grating routers for use as optical OFDM demultiplexers,” Optics express, 18(13), 14129-14143. W.-R. Peng, X. Wu, K. M. Feng, V. R. Arbab, B. Shamee, J. Y. Yang, L. C. Christen, A. E. Willner & S. Chi, (2009) “Spectrally efficient direct-detected OFDM transmission employing an iterative estimation and cancellation technique,” Optics express, 17(11), 9099-9111. Iraj Sadegh Amiri, Ali Nikoukar & Sayed Ehsan Alavi, Soliton and Radio over Fiber (RoF) Applications. Saarbrücken, Germany: LAP LAMBERT Academic Publishing, 2014. S. Amiri & J. Ali, (2014) “Characterization of Optical Bistability In a Fiber Optic Ring Resonator,” Quantum Matter, 3(1), 47-51. D. Hillerkuss, R. Schmogrow, M. Hübner, M. Winter, B. Nebendahl, J. Becker, W. Freude & J. Leuthold, (2010), “Software-defined multi-format transmitter with real-time signal processing for up to 160 Gbit/s”, in Signal Processing in Photonic Communications SPTuC4. S. Amiri, S. E. Alavi, S. M. Idrus, A. S. M. Supa’at, J. Ali & P. P. Yupapin, (2014) “W-Band OFDM Transmission for Radio-over-Fiber link Using Solitonic Millimeter Wave Generated by MRR”, IEEE Journal of Quantum Electronics, 50(8), 622 - 628. D. Hillerkuss, M. Winter, M. Teschke, A. Marculescu, J. Li, G. Sigurdsson, K. Worms, S. Ben Ezra, N. Narkiss & W. Freude, (2010) “Simple all-optical FFT scheme enabling Tbit/s real-time signal processing,” Optics express, 18(9), 9324-9340. K. Sathananthan & C. Tellambura, (2001) “Probability of error calculation of OFDM systems with frequency offset,” Communications, IEEE Transactions on, 49(11), 1884-1888. C. C. Wei & J. J. Chen, (2010) “Study on dispersion-induced phase noise in an optical OFDM radio-over-fiber system at 60-GHz band,” Optics express, 18(20), 20774-20785. Iraj Sadegh Amiri, Abdolkarim Afroozeh & Harith Ahmad, Integrated micro-ring photonics: Principles and Applications as Slow light devices, Soliton generation and optical transmission. United States: CRC Press, 2015. Iraj Sadegh Amiri, Sayed Ehsan Alavi, S. M. Idrus, Abdolkarim Afroozeh & Jalil Ali, Soliton Generation by Ring Resonator for Optical Communication Application. New York: Nova Science Publishers, 2014. Iraj Sadegh Amiri, Sayed Ehsan Alavi & Sevia Mahdaliza Idrus, Soliton Coding for Secured Optical Communication Link. USA: Springer, 2014. S. Amiri, R. Ahsan, A. Shahidinejad, J. Ali & P. P. Yupapin, (2012) “Characterisation of bifurcation and chaos in silicon microring resonator,” IET Communications, 6(16), 2671-2675. S. Amiri, M. Ebrahimi, A. H. Yazdavar, S. Gorbani, S. E. Alavi, Sevia M. Idrus & J. Ali, (2014) “Transmission of data with orthogonal frequency division multiplexing technique for communication networks using GHz frequency band soliton carrier,” IET Communications, 8(8), 1364 – 1373. Afroozeh, I. S. Amiri, M. A. Jalil, M. Kouhnavard, J. Ali & P. P. Yupapin, (2011) “Multi Soliton Generation for Enhance Optical Communication,” Applied Mechanics and Materials, 83 136-140. S. Amiri, K. Raman, A. Afroozeh, M. A. Jalil, I. N. Nawi, J. Ali & P. P. Yupapin, (2011) “Generation of DSA for security application,” Procedia Engineering, 8 360-365. S. Amiri & J. Ali, (2014) “Optical Quantum Generation and Transmission of 57-61 GHz Frequency Band Using an Optical Fiber Optics,” Journal of Computational and Theoretical Nanoscience (CTN), 11(10), 2130-2135. S. Amiri, A. Shahidinejad, A. Nikoukar, M. Ranjbar, J. Ali & P. P. Yupapin, (2012) “Digital Binary Codes Transmission via TDMA Networks Communication System Using Dark and Bright Optical Soliton,” GSTF Journal on Computing (joc), 2(1), 12. S. Amiri, S. E. Alavi, S. M. Idrus, A. S. M. Supa'at, J. Ali & P. P. Yupapin, (2014) “W-Band OFDM Transmission for Radio-over-Fiber link Using Solitonic Millimeter Wave Generated by MRR,” IEEE Journal of Quantum Electronics, 50(8), 622 - 628. M. E. Marhic, (1987) “Discrete Fourier transforms by single-mode star networks,” Optics letters, 12(1), 63-65. K. B. Howell, Principles of Fourier Analysis: CRC Press, 2001. Siegman, (2001) “Fiber Fourier optics,” Optics letters, 26(16), 1215-1217. Siegman, (2002) “Fiber Fourier optics: previous publication,” Optics letters, 27(6), 381-381. S. Amiri, S. Soltanmohammadi, A. Shahidinejad & j. Ali, (2013) “Optical quantum transmitter with finesse of 30 at 800-nm central wavelength using microring resonators,” Optical and Quantum Electronics, 45(10), 1095-1105. Abdolkarim Afroozeh, Iraj Sadegh Amiri & Alireza Zeinalinezhad, Micro Ring Resonators and Applications: New Technology of Optics. Saarbrücken, Germany: LAP LAMBERT Academic Publishing, 2014. S. Amiri & J. Ali, (2014) “Generating Highly Dark–Bright Solitons by Gaussian Beam Propagation in a PANDA Ring Resonator,” Journal of Computational and Theoretical Nanoscience (CTN), 11(4), 1092-1099. I. S. Amiri & A. Afroozeh, Soliton Generation Based Optical Communication, in Ring Resonator Systems to Perform Optical Communication Enhancement Using Soliton, ed USA: Springer, 2014. S. Amiri, S. E. Alavi & S. M. Idrus, Introduction of Fiber Waveguide and Soliton Signals Used to Enhance the Communication Security, in Soliton Coding for Secured Optical Communication Link, ed USA: Springer, 2015, pp. 1-16. Shahidinejad, A. Nikoukar, I. S. Amiri, M. Ranjbar, A. Shojaei, J. Ali & P. Yupapin, (2012), “Network system engineering by controlling the chaotic signals using silicon micro ring resonator,” in Computer and Communication Engineering (ICCCE) Conference, Malaysia, 765-769. S. Amiri, M. H. Khanmirzaei, M. Kouhnavard, P. P. Yupapin & J. Ali, Quantum Entanglement using Multi Dark Soliton Correlation for Multivariable Quantum Router, in Quantum Entanglement A. M. Moran, Ed., ed New York: Nova Science Publisher, 2012, pp. 111-122. S. Amiri, A. Nikoukar, A. Shahidinejad, J. Ali & P. Yupapin, (2012), “Generation of discrete frequency and wavelength for secured computer networks system using integrated ring resonators,” in Computer and Communication Engineering (ICCCE) Conference, Malaysia, 775-778. S. Amiri, P. Naraei & J. Ali, (2014) “Review and Theory of Optical Soliton Generation Used to Improve the Security and High Capacity of MRR and NRR Passive Systems,” Journal of Computational and Theoretical Nanoscience (CTN), 11(9), 1875-1886. I. S. Amiri & A. Afroozeh, Mathematics of Soliton Transmission in Optical Fiber, in Ring Resonator Systems to Perform Optical Communication Enhancement Using Soliton, ed USA: Springer, 2014. S. Amiri, S. E. Alavi & S. M. Idrus’, (2014) “Solitonic Pulse Generation and Characterization by Integrated Ring Resonators,” presented at the 5th International Conference on Photonics 2014 (ICP2014), Kuala Lumpur. S. Amiri & J. Ali, (2013) “Data Signal Processing Via a Manchester Coding-Decoding Method Using Chaotic Signals Generated by a PANDA Ring Resonator,” Chinese Optics Letters, 11(4), 041901(4). S. Amiri, A. Afroozeh & M. Bahadoran, (2011) “Simulation and Analysis of Multisoliton Generation Using a PANDA Ring Resonator System,” Chinese Physics Letters, 28(10), 104205. S. Amiri, J. Ali & P. P. Yupapin, (2012) “Enhancement of FSR and Finesse Using Add/Drop Filter and PANDA Ring Resonator Systems,” International Journal of Modern Physics B, 26(04), 1250034. S. Amiri, A. Afroozeh, I. N. Nawi, M. A. Jalil, A. Mohamad, J. Ali & P. P. Yupapin, (2011) “Dark Soliton Array for communication security,” Procedia Engineering, 8 417-422. 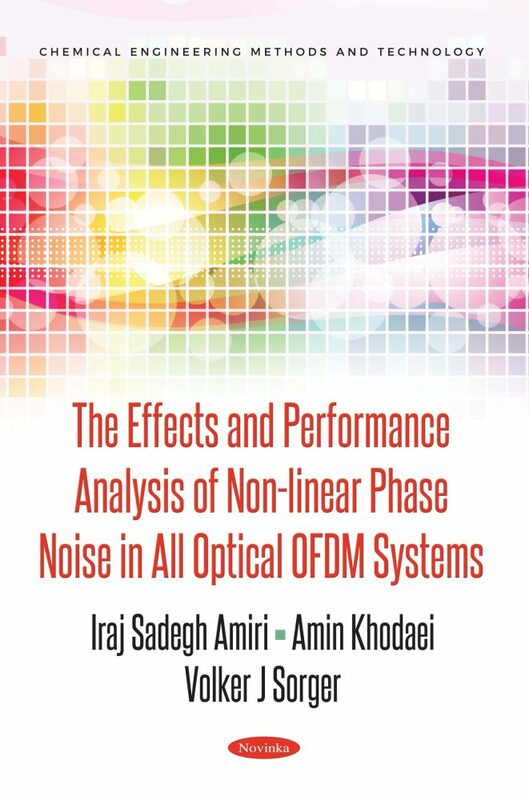 I. S. Amiri & A. Afroozeh, Integrated Ring Resonator Systems, in Ring Resonator Systems to Perform Optical Communication Enhancement Using Soliton, ed. USA: Springer, 2014. I. S. Amiri & A. Afroozeh, Introduction of Soliton Generation, in Ring Resonator Systems to Perform Optical Communication Enhancement Using Soliton, ed. USA: Springer, 2014. S. Amiri, S. E. Alavi & S. M. Idrus, Theoretical Background of Microring Resonator Systems and Soliton Communication, in Soliton Coding for Secured Optical Communication Link, ed USA: Springer, 2015, pp. 17-39. G. P. Agrawal, Nonlinear Fiber Optics: Academic Press, 2007. R. Boyd, (2008) Nonlinear Optics 3rd edn (New York: Academic). W. Shieh & I. Djordjevic, Orthogonal frequency division multiplexing for optical communications vol. 14: Academic Press, 2010. D. Mills, Nonlinear optics: Springer Berlin etc., 1991. K. P. Ho & H. W. Cuei, (2005) “Generation of arbitrary quadrature signals using one dual-drive modulator,” Journal of lightwave technology, 23(2), 764. M. Seimetz, (2005), “Multi-format transmitters for coherent optical M-PSK and M-QAM transmission,” in Transparent Optical Networks, 2005, Proceedings of 2005 7th International Conference 225-229. R. Griffin & A. Carter, (2002), “Optical differential quadrature phase-shift key (oDQPSK) for high capacity optical transmission,” in Optical Fiber Communication Conference and Exhibit, 2002. OFC 2002 367-368. R. Schmogrow, D. Hillerkuss, M. Dreschmann, M. Huebner, M. Winter, J. Meyer, B. Nebendahl, C. Koos, J. Becker & W. Freude, (2010) “Real-time software-defined multiformat transmitter generating 64QAM at 28 GBd,” Photonics Technology Letters, IEEE, 22(21), 1601-1603. S. Kumar, Impact of Nonlinearities on Fiber Optic Communications vol. 7: Springer Science & Business Media, 2011. M. Seimetz, High-order modulation for optical fiber transmission vol. 143: Springer Science & Business Media, 2009. H. Chen, M. Chen & S. Xie, (2009) All-optical sampling orthogonal frequency-division multiplexing scheme for high-speed transmission system, Lightwave Technology, Journal of, 27(21), 4848-4854. G. P. Agrawal, Fiber-optic communication systems vol. 1, 1997.